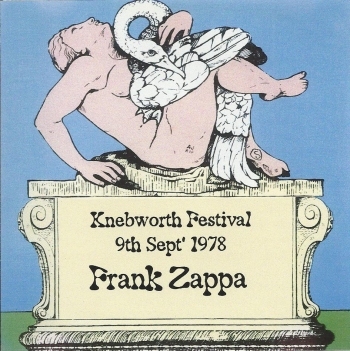 The Knebworth Festival commemorative set that got published by the Bannisters around 2005, included a documentary (on DVDR) and a number of concert recordings (on CDR). 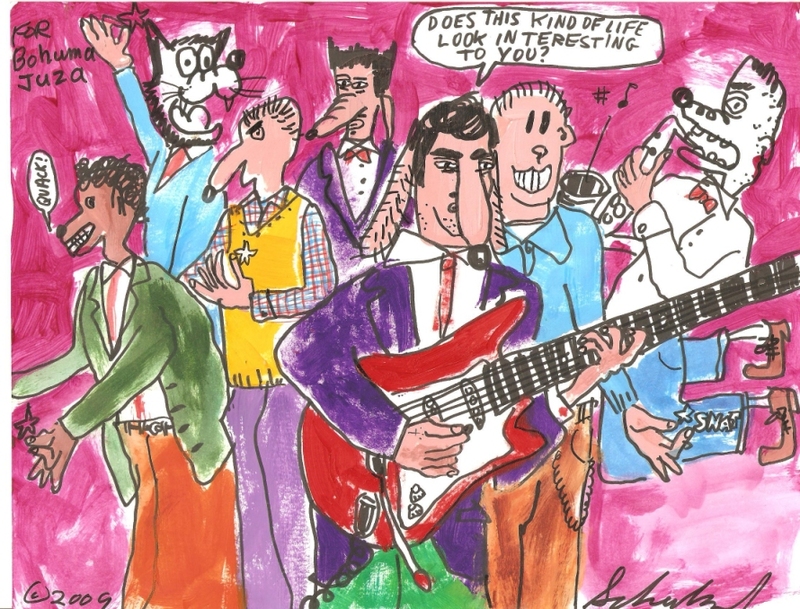 These concert recordings included shows by Tim Buckley, Peter Gabriel, The Tubes, Captain Beefheart, and Zappa. Below are the covers of the Zappa albums that I know about. Pics have been added to the U.M. Archives. 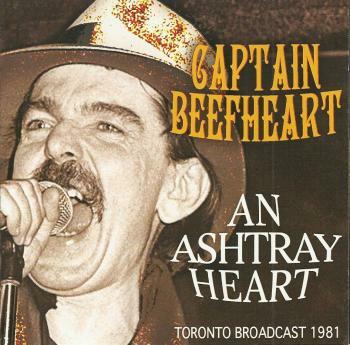 There's also a similar set of Beefheart albums, but I haven't seen these. 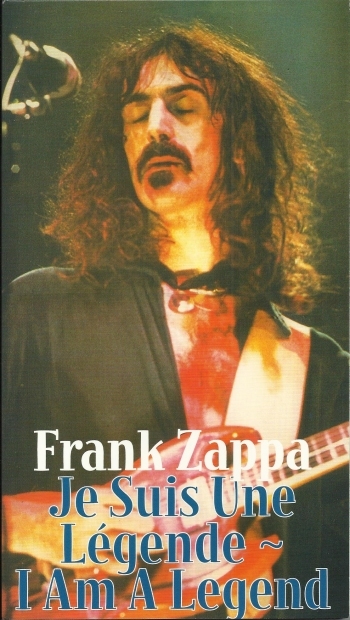 Tony Duran toured with Frank Zappa and contributed guitar & vocals to Zappa's "Waka/Jawaka", "The Grand Wazoo" and "Apostrophe(')". He passed away last month. 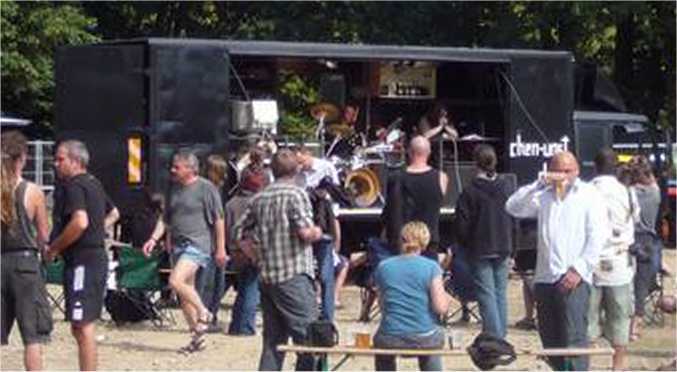 The famous Tonlast Truckstage is for sale. If you've been to Zappanale the last five years or so, you know what I'm talking about. It's the multi-media truck of which the back is a stage. A great concept. If you happen to be in Ghent, Belgium, one of the next months, you should really check the La Resistenza website. La Resistenza combines food and jazz, and you might want to check it out. And here's Steve receiving the Les Paul Award !! 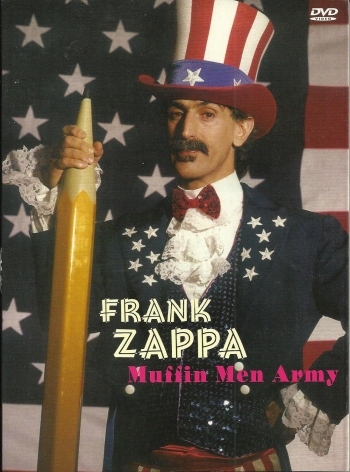 With a nice piece about Frank Zappa as well. This CTSL-label is not only publishing Zappa material. I've seen a number of Led Zeppelin titles as well. So after 3 Zappa titles and a bunch of Led Zeppelin stuff, CTSL came back with a Zappa concert for CTSL - 012 : "Je suis une légende - I am a legend", offering the 1979/03/17 concert in Brest, France. Episode three in the Cosmic Secret Laboratories series is entitled "King Kong Boogie". This time, the beautiful longbox houses the 1969/05/23 Appleton concert, plus all the tracks from the famous 1970/06/18 VPRO-TV show at Uddel. 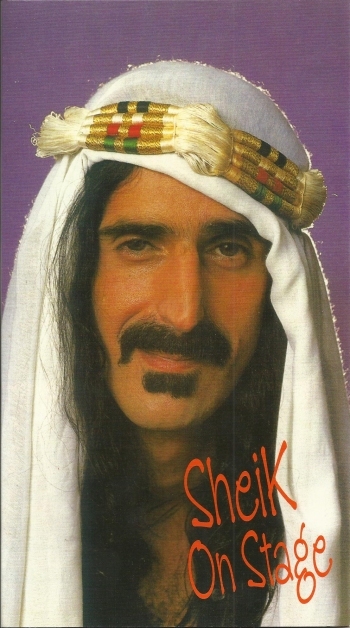 "Sheik On Stage" was the second title on the Cosmic Top Secret Laboratories label. Another 2 CD bootleg in a good-looking longbox. This time it's the 1980/11/13 Late show at the 'Stanley Theatre' in Pittsburg, PA, usa. A fabulous concert. Last year, the Cosmic Top Secret Laboratories released a number of CD-bootlegs. The first in the series was "Genius At Work". 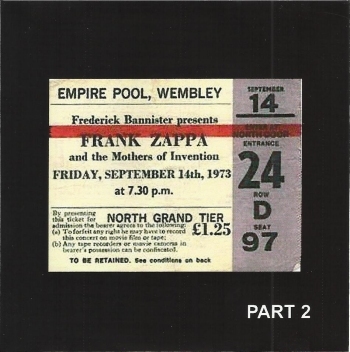 Released in a longbox, the 2 CDs presented the 1979/02/12 Manchester concert. Freak Kitchen's Mattias IA Eklund with 'Asteroid 3834', from his "The Road Less Traveled" album. For those of you who don't get the clue: 3834 Zappafrank is a main belt asteroid that was discovered by Ladislav Brožek in 1980 at Kleť Observatory. 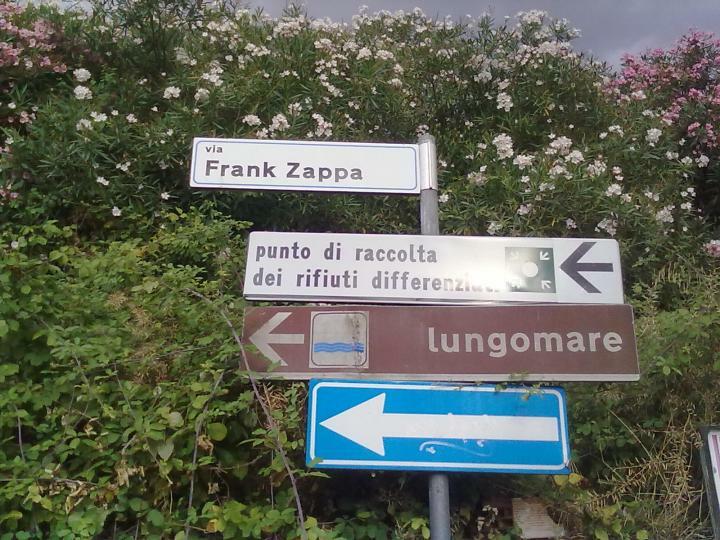 It was named after the late American composer Frank Zappa on July 22, 1994. 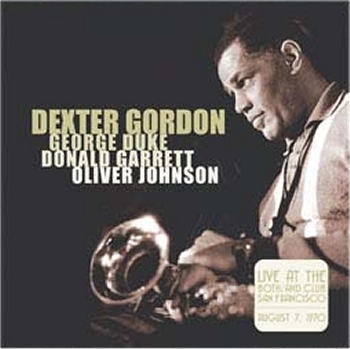 Challenge Records released a recording of a 1970 concert of Dexter Gordon in San Francisco. The band featured George Duke on piano & keyboards. Data has been added to the U.M. Archives. Well, that's exactly what the Czech Frank Zappa Fan Club wants to do with the below Schenkel painting. Should look good on a t-shirt. 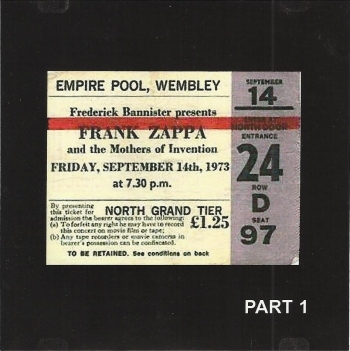 This Zappa bootleg DVD presents two concert recordings: an audience recording of the 1980/06/11 Paris concert, and a professional recording of the 1984/12/10 San Antonio concert. The video quality of the Paris concert is not that good, but the concert itself was really good. The 1984 concert combines an OK image (although better copies should exist), a soundboard recording, and a great show. 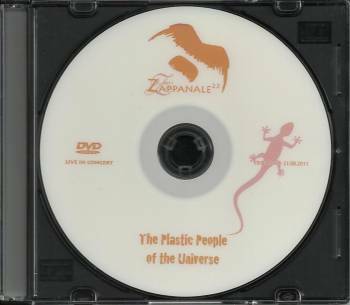 I brought this nice DVD home from Zappanale. It doesn't really mention a date of release, so I'm assuming that it's from 2011. Nick Didkovsky's Doctor Nerve, live at The Knitting Factory on 1991/11/14, has been put on this fine DVDR. Over ten years old, and still sounding fresh and experimental. In times when everybody's talking about downloads and the disappearance of actual carriers, I'm glad that I can put this versatile disc in my DVD-player and enjoy this fine concert. Final track on the disc is Doctor Nerve doing Don Van Vliet's 'When It Blows It Stacks'. Here are a couple of Doctor Nerve YouTube fragments, including the start of their Zappanale concert. spielen aus dem Repertoire der Beatles, from "Boys" to "Girls", from "Get Back" to "Get Down". Ein sehr spezielles Revival, ein verrückter Trip zwischen Original und Anarchie, eine Tour de Force durch die musikalischen Stile. The Times They Are A-Changin’, are they not? At least as far as cds are concerned, apparently. Hall of Fame Records is right now in the process of transferring to digital downloads all of its catalogue. In fact you can already find quite a few releases in Bandcamp, and in the meantime we are radically reducing the price of many of our cds, until the 1st of May, 2012 or until we run out of stock, whichever happens first. Following you can find the most important sales together with, when appropriate, how many copies we have left in stock. Gary Lucas is in London now working in the studio with the legendary Bryan Ferry on new tracks, and heads next for shows in Portugal and Paris. On November 5th 2011, Capt.Cheese-Beard & The 7 Sisters Of prevention played a gig at the Atelier 210 which was filmed and recorded. The first clip has now been posted on line and many will follow in the next few days. Are you a student of the conservatory classical, jazz or pop and would you like to participate in a project where the boundaries are not set, or are you a musical talent 'on the loose', consider joing the Brokkenfabriek! Motivated, talented musicians with an interest in the combination composition / improvisation receive masterclasses for a month, from different musical leaders. You can choose the month(s) you want to join in. You'll have 4 masterclasses every tuesday night at Zaal 100, De Wittestraat 100 in Amsterdam and a concert on the last sunday afternoon of the month. 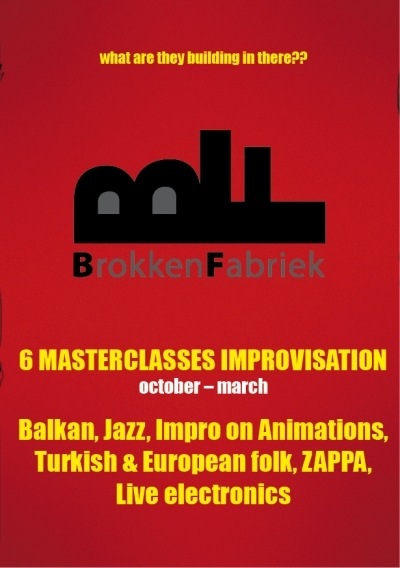 Since 2008 the BrokkenFabriek was lead by Corrie van Binsbergen, Joost Buis, Hans Hasebos, Albert van Veenendaal, Arend Nikx, Ernst Reijseger, Anton Goudsmit, Guus Janssen, Oene van Geel, Felicity Provan, David Kweksilber, Michael Moore, Michiel Braam, Alan Purves, Raphael Vonoli, Wilbert de Joode and Sean Bergin. february: Joost Dieho - playing Zappa! & the first name has just been announced. The result was a bizarre collection of sounds and music that featured Smegma, Ace Farren Ford, Henry Kaiser and The Residents, to name a few. 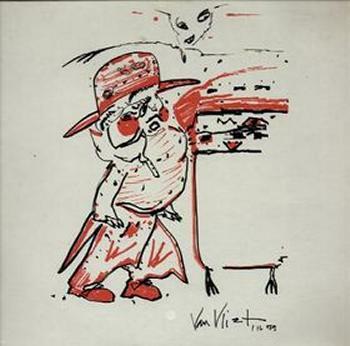 Don Van Vliet signed for the artwork, and 500 copies of the album got pressed. 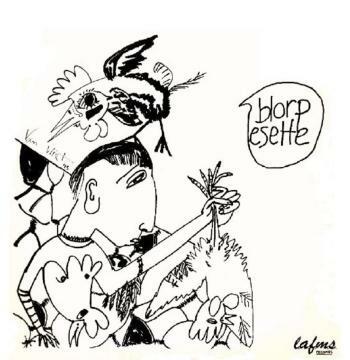 With enough material at hand, The LAFMS released the 2 LP-set "Blorp Esette - Volume 2" in 1980 as a follow-up. 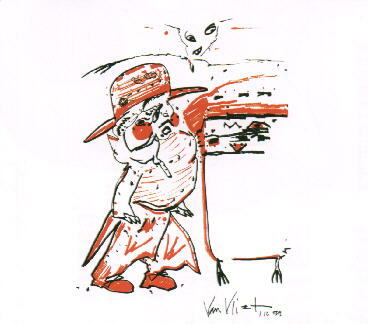 Again, with beautiful artwork by Don Van Vliet. This time the LAFMS pressed 250 copies. As you can imagine, these vinyl copies are quite hard to find. In 1999, the Transparency label took on the difficult task to re-release these albums, the result being a 4CD-set. Enhancements included a lot of bonus material, better sound levels and more stereo. 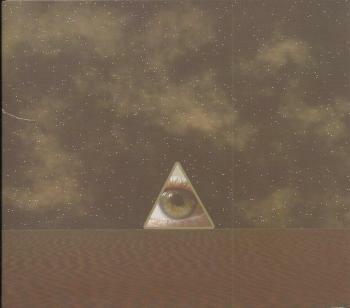 The Residents' track was left out, but the extra music was a great. A beautiful set, but not easy to find either as it also sold out. And that's where the good news comes in. Transparency has re-released a remastered version of this 4CD-set. Same cover, same artwork, and some minor musical changes. The music on the set is over 30 years old, and still sounds as out-of-this-world like the first time I heard it. Literally. And that's not all as Leo Records is hosting a 5-day Leo Records Festival in Russia: 2 days in St. Petersburg, 2 days in Moscow and 1 day in Arkhangelsk. Essra Mohawk (aka Sandy Hurvitz, aka Uncle Meat) speaks. It's from a little while ago, I think, but it's quite interesting. You should, of course, know about Neil Sadler's fabulous "Theory Of Forms" album. Recorded a bit over ten years ago, and featuring a lot of musicians that worked with Zappa. Great stuff. Be sure to check it out. Aynsley Dunbar and Alex Dmochowski both played on Michael Chapman's "Rainmaker" album, released in 1970. The album has been re-released on CD by the Light In The Attic label, with six bonus tracks. At the time, the both of them were part of The Aynsley Dunbar Retaliation. Shortly thereafter, Aynsley joined The Mothers. 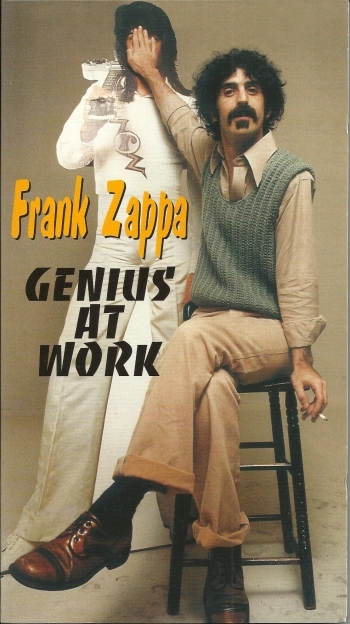 & Zappa hired Alex a couple of years later to record on "Waka/Jawaka", "The Grand Wazoo" and "Apostrophe(')". a cappella, by Eric Severinson. You definitely need to hear this !! I had never heard of the Gathering Of The Vibes Festival. But it sure looks like a fine festival, so if you're in the neighbourhood of Connecticut next July, you should really read this twice. So here's the nice poster for the Zappanaoi 2011/12/17 gig, in Lisbon, Portugal. Doctor Dark is a band from New Haven. They play the music of Captain Beefheart. They played an astonishing show at Zappanale in 2005, and will be back at Zappanale next August. 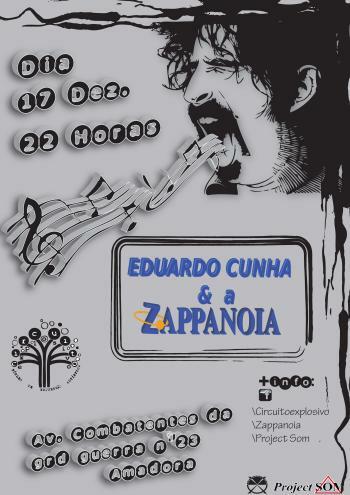 Eduardo Cunha has reformed Zappanoia and is doing concerts again ! Check out this new composition by Stanley Jason Zappa ! In a couple of weeks, New York City will be the place to be for fans of contemporary music as the city will host the Composers Concordance Festival. Januari 27, 29 & 31 plus February 3 & 6. 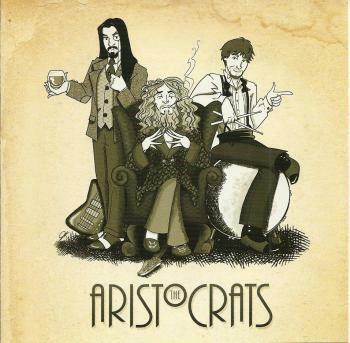 After the successful launch of the debut album and tours of Far East Asia and US/Canada east coast in 2011, the Aristocrats are now ready for more action in early 2012 - starting out with a short west coast tour after the NAMM Show in Los Angeles. After a pair of already-sold-out shows in San Pedro during NAMM weekend, the band heads up the coast for a show at Biscuits & Blues in downtown San Francisco on Friday 1/27, and then two shows at the Rendezvous in Seattle on Saturday 1/28 and Sunday 1/29. ...and then a big show at The Roxy in West Hollywood on Sunday 3/4 Sun as the headliner for the WesFest 7 benefit concert, a four-act show that will also feature Mike Keneally (as an artist, and also sitting in with The Aristocrats for three tunes! ), and several other superb artists. This is a major event in the heart of LA that you won't want to miss, and it's for a great cause as well. Right after WesFest, the band is straight off to London to start a big tour of Europe that will cover the U.K., Holland, France, Spain, Turkey and Israel. The U.K. portion of the tour will feature the prog power trio Godsticks as the opening act, and the guys are grateful for their support and psyched to have them opening up for them in Guthrie's home country. Guthrie, Bryan and Marco are really looking forward to getting out there and playing live once again, and the groundwork is being laid right now for more touring and album releases in the not-too-distant future. Sunday afternoon, 2012 01 29', 'Zaal 100' in Amsterdam will host the Brokkenfabriek and the trio Steven Kamperman, Sanem Kalfa & Jeff Sopacua. Dutch big band Tetzepi has a new album out: "Seed". New Yorkers! I'll be returning to Iridium in early February for three very different nights of music - on Monday the 6th I'll be sitting in, as many other guitarists (including Jeff Beck, Keith Richards and Todd Rundgren) have done, with the legendary Les Paul Trio. On Tuesday the 7th I'll play a night of my music with two brilliant musicians, Doug Lunn and Gregg Bendian. And on Wednesday the 8th I'll be sitting in again with the fantastic Ed Palermo Big Band. Very exciting stuff for me and I hope you NY people can make it out to as many of the nights as you can. 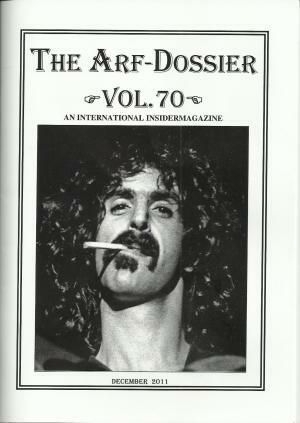 Bringing the Archives up-to-date, here's the cover & the table of contents of issue number 70 of the Arf Dossier (you know, from the people who also bring you Zappanale). You and I know that The Captain stopped making albums after "Ice Cream For Crow", but since then, quite a number of albums with demos and live recordings have been released (not counting the bootlegs). "An Ashtray Heart" is the latest title in this series. The main part of this album is the fm broadcast of one of the two Vancouver shows of The Captain's last tour. 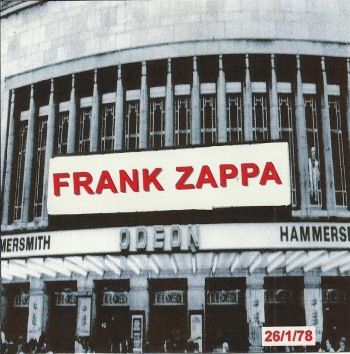 Additional material was taken from two tv show (Tubeworks WABX and Saturday Night Live) and from the 1975 Zappa / Beefheart KWST radio special. 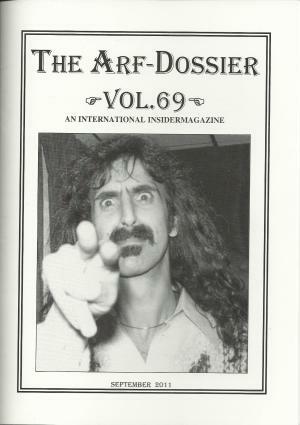 A picture of the cover and the table of contents for issue number 69 of the Arf Dossier, the Zappa fanzine that's published by the Arf Society, have been added to the United Mutations Archives. 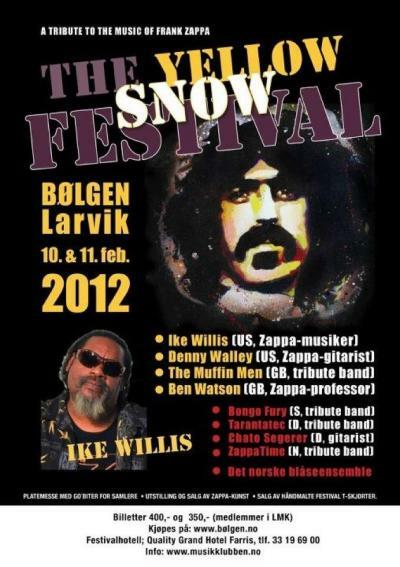 The poster for the third edition of the yellow snow festival was posted over at the Zappateers website. Nice poster. & sure looks like a great program. 2012 02 10 - 11 "The Yellow Snow Festival"
Folks, we have 2 gigs coming up in the upcoming weeks. My favorite club EVER! No cover charge. Just a donation box for the band. Our home base for at least 5 years. Just coming off a very successful 3 night run in October that featured Napoleon Murphy Brock and Mike Keneally. Mike Keneally joins us again for this February 8 performance! The audio for this little movie was taken from a 1970 radio broadcast of which a fine audio recording recently got seeded at the Zappateers website. http://www.weirdomusic.com/ is celebrating its 10th anniversary. There's a party scheduled on March 3, 2012 in Heerlen, NL. 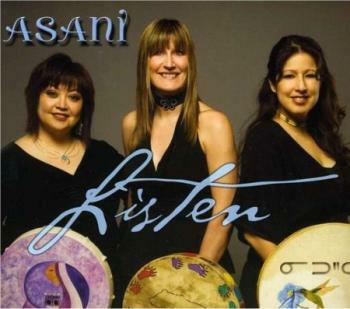 Long-time Zappa percussionist Ed Mann produced the 2009 album "Listen" by Asani, a vocal / percussionist trio. 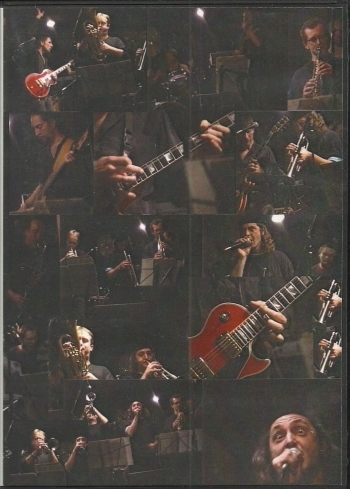 Ed Mann and Ike Willis took part in the Zappa tribute concert by the Edmonton Symphony Orchestra, 2011/03/15. BT (Breakfast Televistion) did broadcast an interview with Ed Mann on this subject a couple of days prior to the concert. 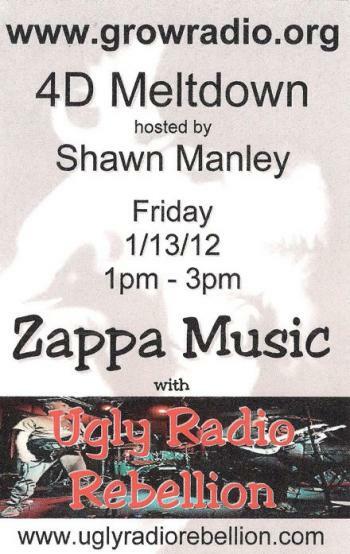 Bobby Marquis did some fine Zappa-related interviews on his Pure Radio Kaos radio show on CKCUFM. If you missed the interviews, you can now listen to them on CKCU-FM. and bands to be announced soon. Last year was a blast. I'm glad that Mosae will continue. Two Jean-Luc Ponty albums have been reissued on CD. On EMI. Japan only. * 3/7 thru 3/24 - The Aristocrats tour UK, Netherlands, France, Spain, Turkey, Israel! Kira Small/BB currently booking April//May house concert tour in following states/rough order: VA, Washington DC, MD, DE, eastern PA, NJ, NY, CT, MA, VT/NH/ME, Upstate NY, western PA, WV, KY. I'll send a separate message about this soon, but if you're hip to the deal and are interested in hosting your very own house concert, write me back. First come, first booked. Machine Mass Trio - "As Real As Thinking"
Writer and poet Ben Watson wrote "Frank Zappa - The Negative Dialectics Of Poodle Play", a book that got released by Quartet Books in 1995. 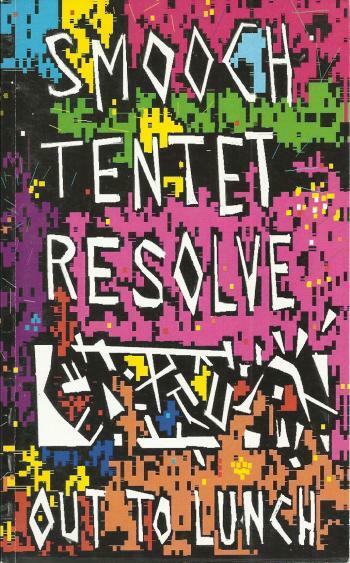 More recently, Ben published a collection of poems in "Smooch Tentet Resolve'. Great stuff. A combination of words and drawings. Ben explained at the Zappanale festival a couple of years ago that you don't just have to read the words. The drawings make noises as well. On http://www.archive.org/details/smoochtentetresolve , you can hear Ben Watson reading from this book, as taken from his "Out To Lunch" radio show. This picture was taken in Agropoli, Italy. 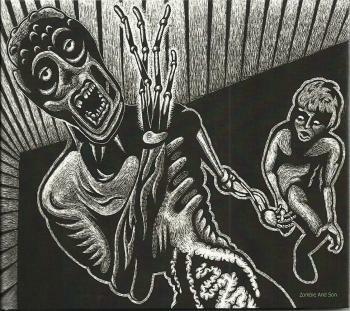 "The Rivers of Hades was part of an aural art piece to accompany the release of The Residents action figures which had been designed by Steve Cerio. The original music was conceived to utilize two DVD players that were programmed to randomly play abstract bits of music. The project (which required 12 speakers placed in a circle around the gallery) was entitled 'Chaos Is Not Just A Theory'. In Greek mythology, Hades was a child of Chaos. As these kinds of things go, it never quite worked out. The gallery never agreed to provide the sound system and some people felt it would be unpleasant for attending guests so by the time the toy release actually happened (there were several lengthy delays) The Residents had lost interest and had moved onto other projects which did not allow them to even attend the toy release opening. However, Homer Flynn, Leigh Barbier, and Steve Cerio did attend and showed non-Residents art work. " Previously released as download-only from the Rez Robot Selling Device. Jimmy Ågren is recording a new album with his band. He hopes that it will be out next spring. Here's another great little video with Jimmy as part of the Mats / Morgan band. Just listen to that guitar solo !! The Transparency label isn't afraid to take a risk. 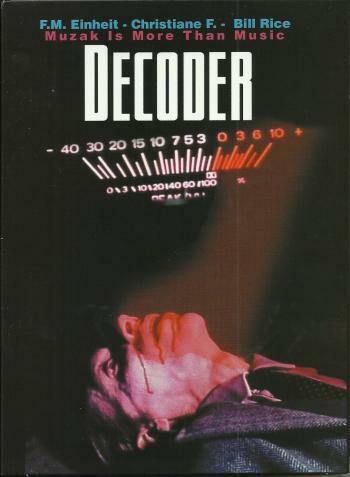 Last year, they released "Decoder", the 1984 German cult-film that was based on the writings of William S.Burroughs. The movie features Genesis P-Orridge (Throbbing Gristle), F.M. Einheit (Einsturzende Neubauten), Christiane F (Shellshock), and Bill Rice. The package consists of a double layer DVD (movie & extras), and a CD (with the soundtrack). The movie is about audio experiments. A group of 'pirates' adds some sort of musical tranquilizer in muzak, forcing people to fall asleep when they hear it. Big Brother isn't happy and tries to stop them, leading to some sort of huge riot. "DVD features include a beautiful color-rich transfer of the film with newly translated English subtitles, the original trailer, a slide show of 75 still production photos by Ilse Ruppert, a documentary on the Italian 'Decoder Collective', a 46-minute audio interview with filmmaker Klaus Maeck, rare footage of Derek Jarman filming Burroughs on set, and Berlin riot news footage used in the film with a music loop by Genesis P-Orridge commissioned specially for this DVD release. The soundtrack CD features Soft Cell, early Einsturzende Neubauten, Matt Johnson (The The), Dave Ball and Genesis P-Orridge, and William Burroughs. A lot of the music on the CD is not in the film and vice versa. NTSC all region, full screen format. 87 minutes." "Who Is Rufus Harley" is a one hour documentary on Rufus Harley, collecting a couple of tv-specials, even including a tv-show. In times of YouTube and other internet wonderment, one might wonder what the added value of this dvd is, but it's a nice collection. Maybe not the best quality, but as it was compiled by the late Rufus Harley himself, who are we to complain. Negativeland (Mark Hosler, Chris Grigg, Don Joyce, David Wills and Richard Lyons) is / was a band, but they also produced a live radio show "Over The Edge" for KPFA-FM radio in Berkeley. 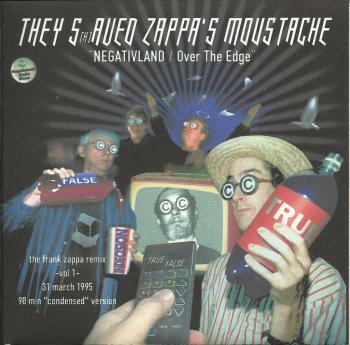 One of these shows, broadcast on march 31, 1995, was a 5 hour Zappa special, entitled "They S(h)aved Zappa's Moustache". The show was made available on cassette, and a condensed version circulates as a 90-minute / 2CDR set. I'm pretty sure that the cassettes were available from the band. Don't know about the CDR-version, but the version that I have lying around sure looks like it might be the real thing. The complete 5-hour version got seeded over at Zappateers a while ago. Tonight, my dear friends, The Muze Jazz Orchestra will be performing the music of Frank Zappa, as well as some original tunes by Lieven Cambre at the MuzeCafé in Heusden-Zolder, Belgium. I added some covers and stuff to the United Mutations Archives. Just to keep you up-to-date, here's the list. Pretty sure that I had mentioned this release before, but hadn't added it to the Archives. 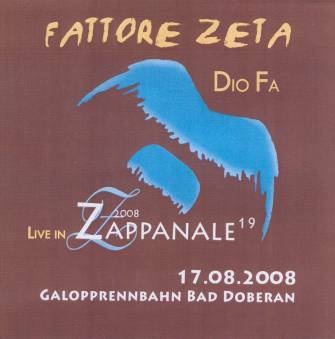 2009 release of the 2008 Zappanale concert by Fattore Zeta. all compositions by frank zappa, except one or two, mabye. Great guys & great music. Added the picture of this limited release (1000 numbered copies) to the Rez page. The Vegetarians at last years Zappanale. 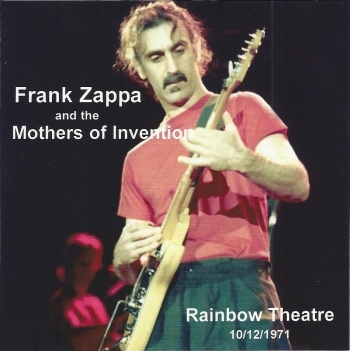 Lots of frank zappa compositions. 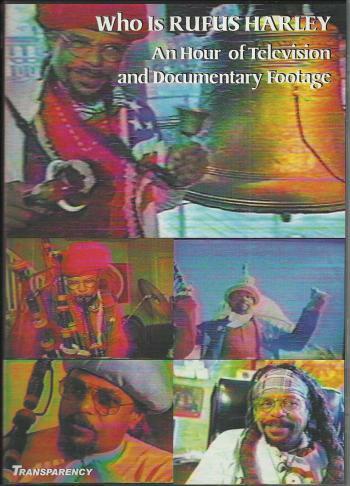 Limited DVDR release. Essra Mohawk and Sandro Oliva, live at last years Zappanale. With Gary Lucas as a guest performer. Includes zappa & beefheart material. This album quotes 'take your clothes off' (frank zappa). There's a regular release as well, and that one already could be found in the Archives. 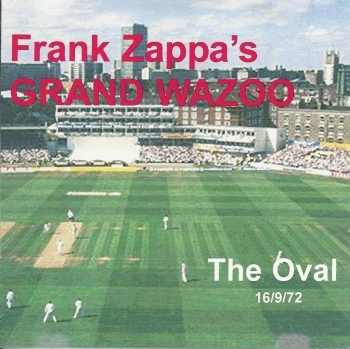 This is an example of the cover of the "limited edition of 100 signed copies with unique covers". 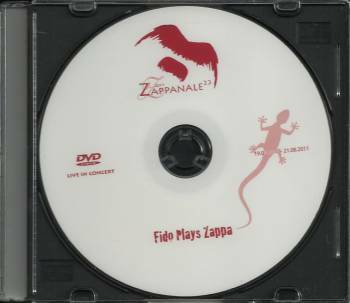 More zappanale related release with the Fido concert from last august. Lotsa Zappa. Radio show recording with lisa loeb and dweezil zappa. From almost ten years ago. 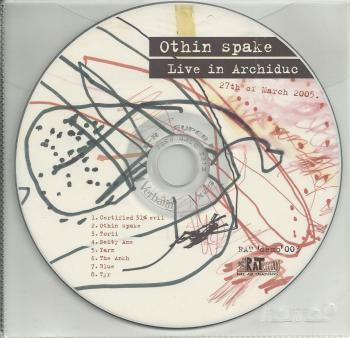 Othin Spake plays free improvised music: Teun Verbruggen on drums, Mauro Pawlowski on guitar and Jozef Dumoulin on Fender Rhodes. If you're not familiar with the Belgian music scene, these names might not mean much to you, so let me try to explain: Teun Verbruggen plays with Jef Neve Trio and Flat Earth Society; Mauro Pawlowski played with The Evil Superstars and is now playing with dEUS; and Jozef Dumoulin is part of Octurn and of Mâäk's Spirit and has performed with Aka Moon. "Live At Archiduc" will show you why what the fuzz is all about. You can't call it jazz, and you can't label it as rock either. The band recently released a vinyl album on Sub Rosa. The other albums are out on Rat Records. YCFOSA means as much as "You Can't Fit On Stage Anymore" and it's the name for the 2008 concerts by the Zappa Plays Zappa band that Dweezil Zappa was going to make available for download for those who bought a ticket with the 'download concert'-option. The good thing is that Dweezil is still working on these. On his website, he wrote a long letter, explaining why it has already taken him so long, and why it isn't ready yet. Still, might be worth the wait. 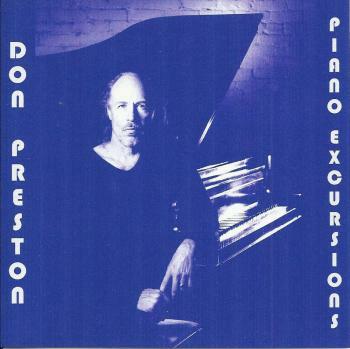 Don Preston's latest album is entitled "Piano Excursions" and it has Don performing 11 pieces, solo on piano. This is beautiful music. Solo piano performances always have this great intensity. Great pieces and a stunning performance. Availabe through Don's store on FaceBook, but also through Don's Amazon Shop. 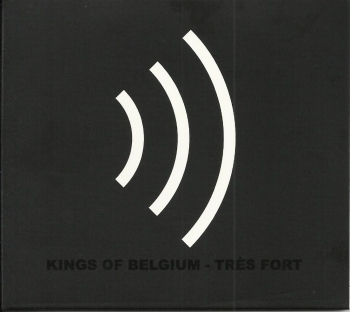 Kings Of Belgium are having their second album released on the Off Records label. Gil Mortio on guitar, Pierre Vervloesem on bass, and Morgan Ågren on drums. Completely improvised. Recorded in Sweden in two days time. Fusa Musa is a jazz-rock band from Argentia. 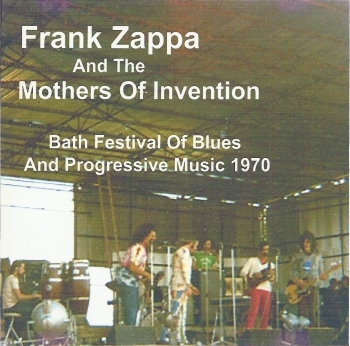 They have performed Frank Zappa compositions in concert. Guitarist, arranger and director Gerardo Tripoli is a former member of Sul Divano. Fusa Musa was formed in 2005 and consists of 11 musicians: singer, flutist, alto sax, tenor sax, baritone sax, lead guitar, rhythm guitar, keyboards, vibraphone / marimba, bassist and drummer. 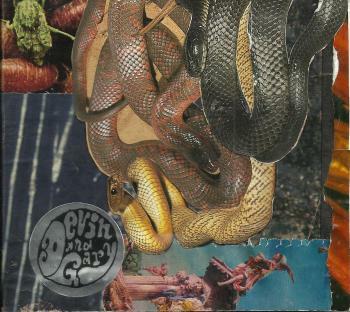 The band has been doing concerts since 2006 and is scheduled to record their first album "a Tribute to Frank Zappa" in 2012. Last year we released a split EP with a sick band from the UK (Bobbie Peru)...then we lost a great band (Kimono Draggin')...then we gained a great band (Space Orphans) and then we released the best Spaynsive record to date (Kimono Gold). What a year...we're actually starting to look more like an actual record label. All that said, we give you bolder new beginnings for 2012. It looks like the Mosae Zappa Festival will be seeing its second edition this year. Last year was top notch with Lilo, The Wrong Object, The Beefheart Project, Tarentatec and The Yellow Snow Crystals. It made Maastricht (NL) the center of the universe. Well, at least for one weekend. 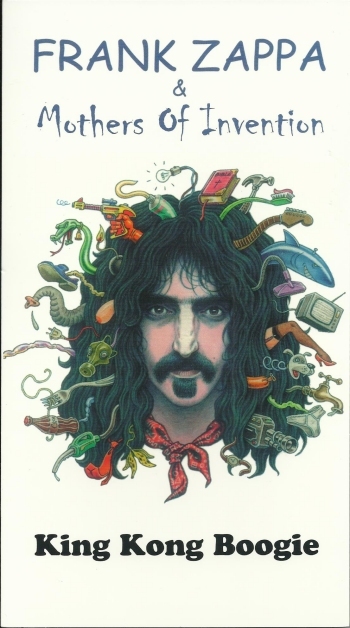 January 18, 2012, Canadian CKCU-FM radio will be broadcasting an interview with Arthur Barrow by Bobby Marquis as part of their Frank Zappa series. 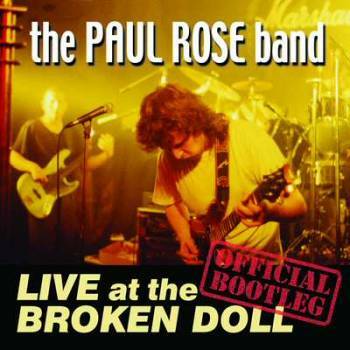 "Live At The Broken Doll" is a free download from Paul Rose's website. I mentioned the album on this blog yesterday. Unfortunately, the downloading didn't work out, so I mailed Paul and asked if the album was still available. Apparently, the files had been erased from the server, but Paul said that he would put them up again. So here it is, for your (and my) enjoyment: "The Paul Rose Band: Live At The Broken Doll". Rated 'Official Bootleg', you know that you shouldn't expect the best audio quality, but that should not withhold you from downloading this album. The Paul Rose Band played some raw and catchy blues songs that night. Melodic blues. All instrumental. That's the way I like it. And hidden in the setlist was Frank Zappa's 'Black Napkins'. A great rendition and fitting in perfectly. Steffen Schindler was kind enough to send in the setlist for the concert that Lazuli did at Zappanale last August. Nice. Thanks. Jimmy Ågren is a great blues guitar player. Together with Freddie Wadling and another fine bunch of musicians he did the "The Music Of Captain Beefheart" project in 1995 (released on CD in 1996), he has toured and recorded with Mats & Morgan, performed as the Jimmy Ågren Band, released a couple of solo albums and even did a series of concerts with Denny Walley. 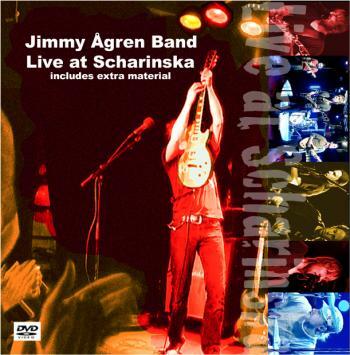 On the http://www.jimmyagren.com/ website, Jimmy is offering the "Live At Scharinska" DVD for free download. "Live At Scharinka" got recorded in 2006 and 2007. Both times at Scharinka. The recording is fine and the concert is worth checking out. Jimmy Ågren on guitar, harmonica and vocals ** Morgan Ågren on drums ** Rolf Hedqvist on bass * and Magnus Lindbloom on guitar. Here's a youtube clip from 2010. 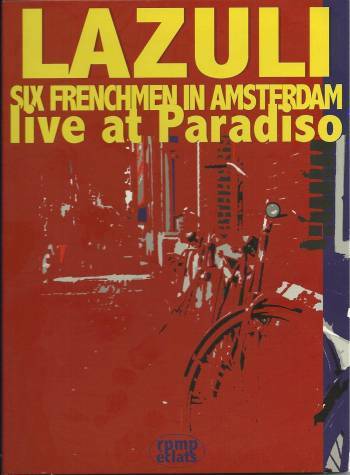 "Six Frenchmen In Amsterdam" presents the band's December 10, 2008, concert at 'Paradiso'. This concert was recorded and was to be broadcast by Fab Channel, but between the recording and the broadcast, the web TV Fab Channel ceased to exist. Lucky for us, Lazuli decided not to waist this terrific recording. Six Frenchmen in the Dutch rocktemple in Amsterdam, NL. I could settle with less. Last August, Lazuli was one of the top acts at Zappanale. A video recording of this concert was made available at the festival in a (very) limited edition of 20 copies. I was there & I loved it. An audience audio recording of the Lazuli Zappanale gig can be found at the Zappateers website.